The Isetan department store in Shinjuku, Tokyo is considered one of the places for trend-setting Japanese shoppers to go. In an area of the store where Cartier sells its pricey jewelry, and a kiosk sells items from such highly regarded (and priced) brands like Boucheron, Chaumet, Mauboussin and Tiffany's, Apple is putting up a shop that will sell the soon-to-be-launched Apple Watch. You shouldn't be surprised. 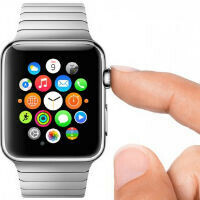 Apple considers its new smartwatch to be part technology icon, part fashion accessory. This could very well end up a permanent part of the store and would be staffed by Apple employees who have received training with the new timepiece. Unlike department stores in the U.S. where consumers can pay for goods at any cash register, in Japan each department is completely autonomous. It isn't clear when the Apple Watch shop will open, with some expecting Apple to open it for previews and pre-orders on April 10th. The device is being launched by Apple on April 24th, and the shop should almost certainly be open by that date, if not exactly on it. There are some reports that Apple is looking to duplicate this with other department stores world wide, including Nordstrom in the U.S. So far there has been no official announcement from the Apple camp. i can think Nordstrom and macys in the US ? And liverpool and palacio de hierro in mexico..